Vintage Dollhouse Furniture is most important in the Dollhouse Furniture, this is the dollhouse 1/12 scale miniature furniture hand made open type bookshelf, the material is wood. It already painting finished, you can also paint what color you need or un-painting. There are two shelf inside can be opened and closed. For the packing, we will use 5-layer thick cardboard box outside, the goods will be received in good condition. Wooden Vintage Dollhouse Furniture is really most welcomed to customers, we have also another type of furntiure, Dollhouse Modern Furniture,Dollhouse Garden Furniture,Dollhouse Furniture Set, etc. 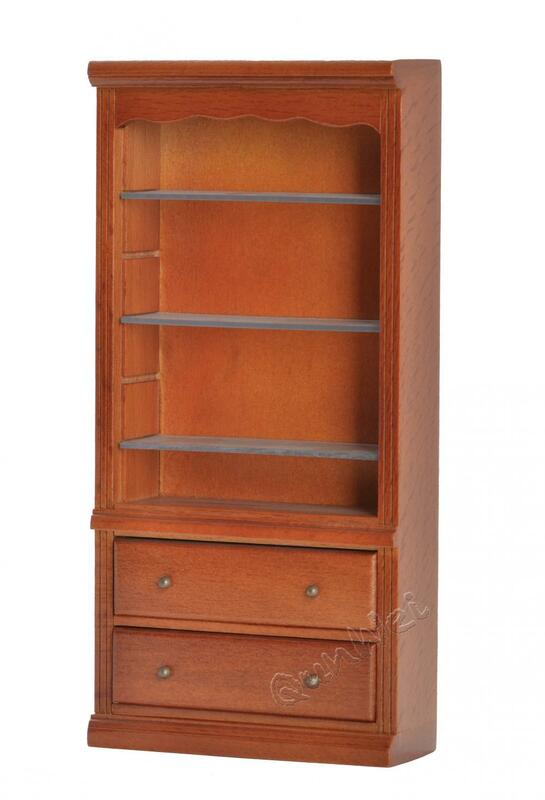 Looking for ideal Doll Bookcase Design Manufacturer & supplier ? We have a wide selection at great prices to help you get creative. All the Dollhouse Bedroom Furniture are quality guaranteed. We are China Origin Factory of Doll House Book Shelf. If you have any question, please feel free to contact us.